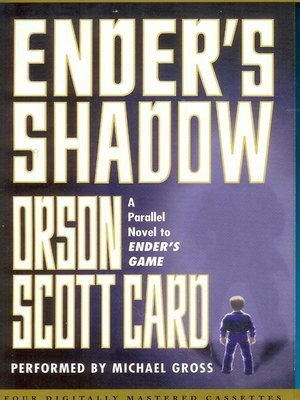 From the author of Ender's Game, the Hugo and Nebula award-winning, million-copy bestseller, comes the parallel novel, Ender's Shadow. In the first book, child-hero Ender Wiggin battles a deadly alien race and wins. But Ender wasn't the only child in his Battle School. There was also Bean, the one who became Ender's right hand, his strategist and his friend, the only one who was with him in the final battle. Now Card tells Bean's whole story, while expanding and complementing the earlier tale. A definitive work from the writer The Seattle Times called a master storyteller.